Encryption is the process of securing data with a key (password), so that only users with this key can read the data. This is the best way to ensure your data is secure, even if the device holding the data gets stolen because its encrypted its useless to the thief if they don’t have the key. 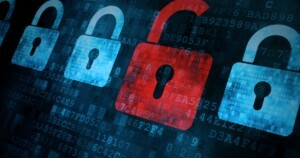 Where and how should I use encryption? Encryption should be done both at home and at work, if you’re sending sensitive information you must ensure that you’re using encrypted communications or media. There is a range of different software that are designed for encryption and decryption of files, popular programs like Microsoft Office for example have encryption built in. Its important to know how the organisation handles encryption and how you as a staff member should use it. 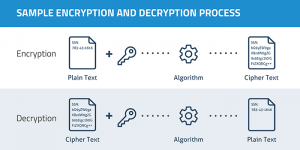 Definition – What is encryption?